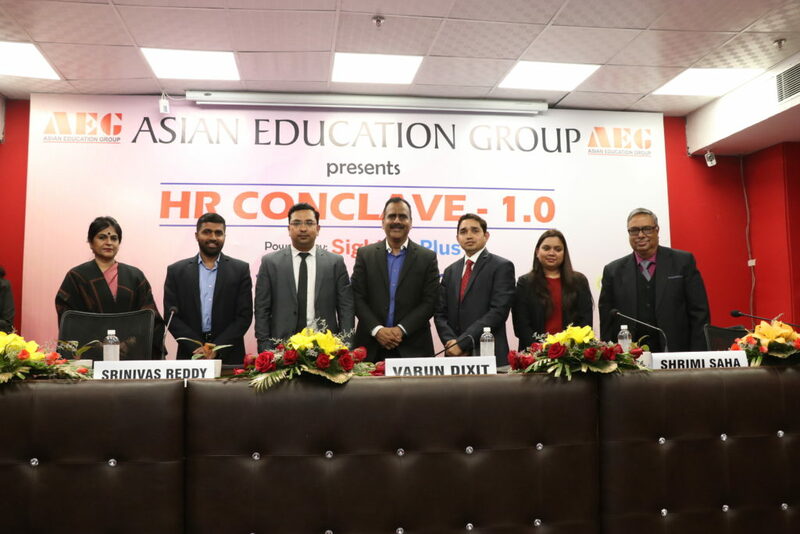 Asian Business School (ABS) recently organized a knowledge-filled human resource meet – the ‘AEG HR Conclave 2019’ – on Saturday, 2nd February 2019 at its campus at Noida. Some of the most prominent names from across several industry verticals were on the distinguished guest list. 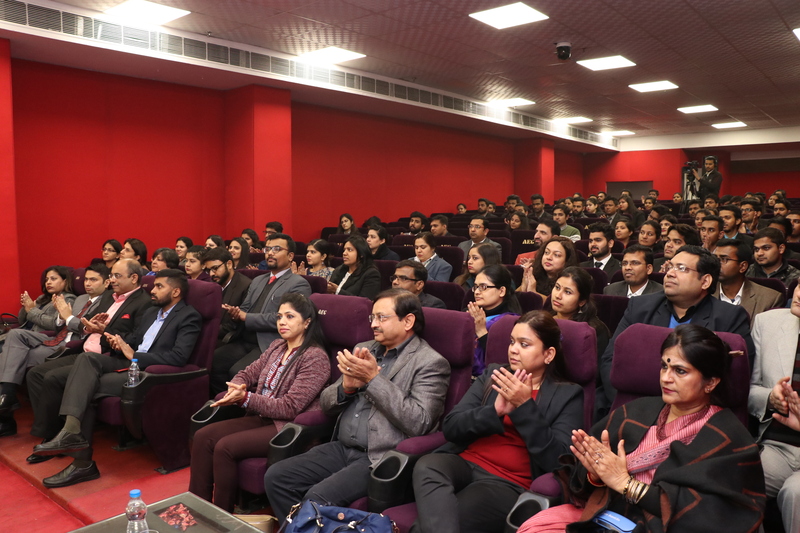 They included names like Mr. Bhrigu Joshi, Director-HR- Make My Trip; Ms. Ruby Kumar, Head-HR-Macawber Beekey; Dr. Shafali Shah, Head-HR, Exicom Tele-systems; Mr. Rajeev Gupta, Head – HR, Kajaria Tiles; Mr. Vikas V.B. Lal, Vice President – HR, Moserbear; Mr. Ashish Mediratta, Head-Talent Acquisition, Tata Communications; Mr. Rajat Gupta, Head-HR, TCS (Life Sciences); Mr. Vikas Khoka, Director- HR, Zimmberbiomet; Dr. Kamal Singh Executive Director, United Nations Global Compact;Abhay Kapoor Sr. HR Leader Amazon; Dr. Shalini Lal Founder Infinity OD, Raj Gupta , Head-HR – TCS; Srinivas Reddy Director-HR, Metlife; Sahil Sharma AVP-HR, RateGain; Shrimi Saha Head-HR-Meyer India; Animesh Mishra Head-Business, Kent RO Systems; Rohan Nag Sr. Director Axtria; Varun Dixit Specialist – Talent Management -Times Group; Neeraj Kumar GM – HR Havells India Ltd.; Gurdeep Singh Head – HR SIMON India Ltd. 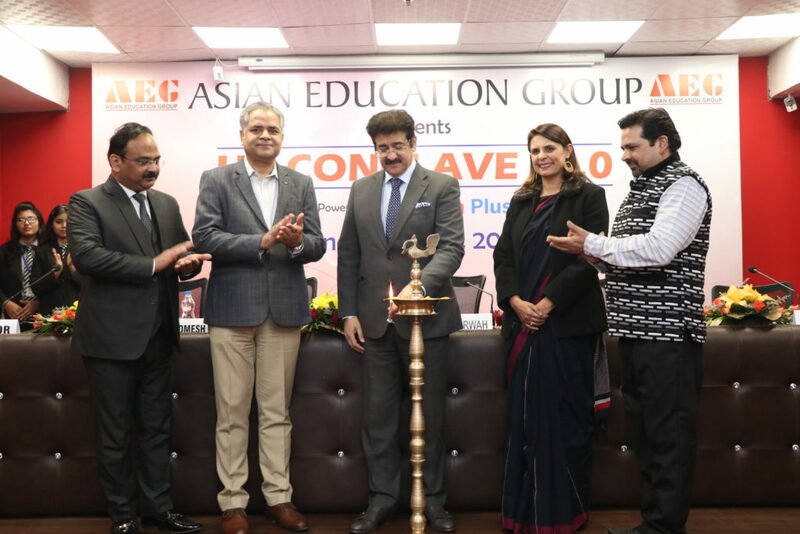 The conclave was inaugurated by Dr. Sandeep Marwah, President Asian Education Group, Dr. Lalitya Vir Srivastava, Director Asian Education Group and Dr. Shalini Lal, Founder OD Infinity & Mr. Abhay Kapoor, Sr. HR leaders- Amazon along with Mr. Romesh Srivastava, Editor-in-chief SightsIn Plus. An invigorating ‘Q & A’ session’ followed each key note topic. Besides, there were three ‘Panel Discussion’ sessions. The topics of these sessions were engaging ‘Panel Discussion’ sessions. The topics of these sessions were “Hiring Trends in 2019”, “How Technology is Transforming HR”, and “The Rise of GIG Economy”. The first panel was moderated by Mr. Bhrigu Joshi, Director-HR makemytrip and panel disseminated their thoughts on hiring trends in 2019. Panel shared their insights about various technologies which are going to be instrumental in talent acquisition into 2019. The second panel which was led by Mr. Raj, GM-HR TCS discussed on how technology is transforming HR wherein Mr. Raj shared his viewpoints as he comes from one of technology giant along with Ms. Shrimi from Meyer India and Mr. Vikas VB Lal from Moser Baer and Mr. Varun Dixit from Bennett and Mr. Srinivas Reddy from Metlife. The panel shared their viewpoints and discussed about various technologies disrupting the hiring. Panel mentioned about the mobile application based hiring and many other disruptions taking place into HR space. After that a key note was delivered by Ms. Poonam Shamra, CHRO Heidelberg cement on HR as a business partner. Ms. Poonam shared how HR is now a part of business, gone are those days when HR was just a personnel department which used to maintain attendance and prepare the salaries. Finally, the last panel of the day deliberated its thoughts on the Rise of GIG economy. The panel was moderated by Mr. Vikas Khoka, Director-HR, Zimmer Biomet with fellow panelists Mr. Niraj Kumar- GM-HR Havells India, Mr. Animesh from Kent RO, Mr. Rohan Nag from Axtria and Mr. Gurdeep from Simon India. The panel shared words of wisdom on GIG economy and its various perspectives. Mr. Niraj mentioned that the GIG economy concept is not new in india, this has been into existence since long time and Mr. Vikas Khoka said that GIG economy is rising because of the paradigm shift into industry as now there are more of project based work, the growth is happening at rapid speed.